The Mincon XP120-SD12 is proving itself the best hammer on the market in all kinds of demanding drilling conditions. Through unique manufacturing processes, the life of the intrnal components is prolonged allowing for multiple rebuilds of the hammer in abrasive conditions. Like all Mincon DTH hammers, the Mincon XP120-SD12 maintains an excellent operating pressure over an extended service life and overall is the tool you require to get the maximum out of all your equipment. 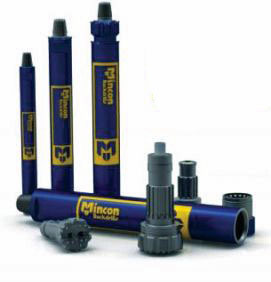 Mincon products are all manufactured in house (Ireland) and all processes are carried out under the one roof. This guarantees that the quality you expect is always delivered.